The 2018 Middle East & Northern Africa (MENA) Fellowship Program application period is now open. The Middle East & Northern Africa (MENA) Fellowship Program, supported by the British Council, provides access to ISPA’s extensive international network of arts professionals to early and mid-career leaders from the MENA performing arts community (Algeria, Egypt, Iraq, Jordan, Lebanon, Libya, Morocco, Palestinian Territories, Syria or Yemen). Participants join the ISPA membership and attend the ISPA Congress where they engage in the development and exchange of ideas with leaders from some of the world’s most significant arts organizations, increase their industry knowledge and resources through educational opportunities, and share their experience with their communities. Full Pass registration to the Leeuwarden-Friesland Congress (June 11 – 15, 2018) including the Anthony Field Academy prior to the Congress. The application deadline will not be extended, and late and/or incomplete submissions will not be accepted. 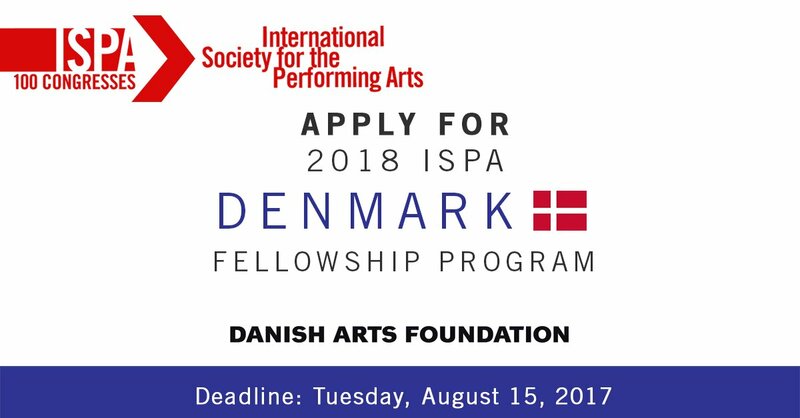 ISPA welcomes all eligible applications.